What is your ultimate go-to breakfast? Toast and avocado.... I LOVE it! Cartoon or human?... I'd say Mulan. I would have chosen Cinderella but then I'd have trouble finding shoes because apparently out of all the girls in the kigdom, I'm the only one with a shoe size that can fit the glass slipper, meaning that my shoe size is incredibly abnormal. What is the one trend you are loving at the moment? Meatballs, dripping cheese and sweet and sour sauce. What is the one thing you enjoy most about blogging? Reading the comments. They mean the world to me. and food...Um..Wasabi... It's takeaway, but I'm obsessed with it. Sleep, food and endless episodes of Being Mary Jane. What quote/song best describes your current mood? Darling, just tell me something about yourself. I'm also partly from South Africa, like Dani!! #TeamAfrica hahaaha. 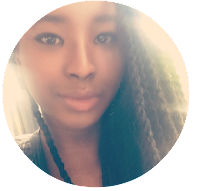 Whenever I see another blogger with African heritage I get really happy haha. Since I have already nominated people, I will just answer the questions. A month and a bit. Not long, I know! 2. Who is your favorite lifestyle blogger? Pizza. I had it three times last week. Unhealthy, I know. I'm not supposed to have a lot of bread or cheese, but I couldn't help myself. And I got ill lol. 4. If you can travel around the world, where would you want to go first? 6. What is the one thing that you love the most about yourself? The fact that I don't get offended easily. Taking things to heart all the time can be damaging. I just dismiss negativity. 7. What is your favorite TV show at the moment? 8. What is the one thing that you really want to do, but so afraid to do it? I would have said start a blog, but nevermind. Umm... I really want to run my own charity event. But what if nobody shows up? I need to stop worrying about where I'll be in 5 years time, and just get on with doing whatever it is I have to do to get to where I want to be. 10. Name one thing that you cannot live without! My family. And pizza of course. 11. How do you like it to be a blogger? Thanks, again Chrissy! Go check her blog! Oh my goodness, you have no idea how excited I am. I feel like I have won a million dollars, no joke. My blog has actually been noticed! 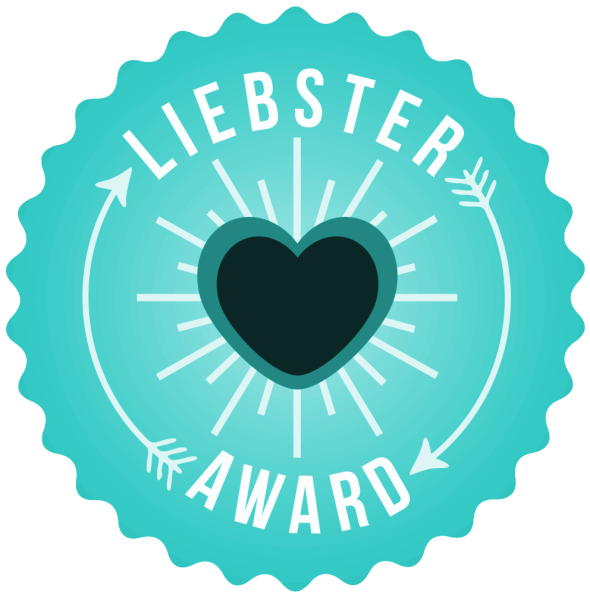 I know that from all the lovely comments I've been getting, but to be nominated for a Liebster Award, which I have wanted to do ever since I started blogging a month ago is kinda cool. haha I bet you guys think I'm so lame right now, but I kid you not, I'm over the moon. Anyways, let's get down to bidnesss! I would like to thank Lauren from My Little Journey and Kirsty from Kirstyhwright for the nominations. You guys should go check out Lauren's her little space. It's so cute and pink, I just can't get enough. Reminds me of cotton candy and all things fluffy. I LOVE fluff. And Kirsty's blog is amazing, it has everything from fashion to music, and I know you all love music!..... okay I'm going a bit off topic, here. But for real, Lauren and Kirsty, thank you! So this award is for bloggers to interact and discover new blogs on this giant thing we call the world wide web. Greece. I'm in London at the moment, and I can't stand the weather. Nice, sunny Greece would be lovely anytime soon. To make my parents and loved ones proud. Super proud. And to be proud of myself. Michael Grant. He wrote the GONE series. Oh my word. I'm not sure yet but something creative and in the business industry. I want to involve the youth as well. Time travel. So that I can go to the future and see if my plans have worked out. But then again, I might mess everything up for everyone. What is your favourite makeup product at the minute? Umm.. not really big on the make up, but when I do, it's the Rimmel London Apocalips in Big Bang, 'cause when you put it on you look at your reflection like heyyy, who's that girl? Showers because I stay too long in the bath tub, then I get all wrinkly and I hate that. Lion cub. I walk about them more than I talk about food. I want one so bad! Who are your favourite bloggers at the minute? Lauren and Kirsty's obviously. And....umm... my favourite blogs include: Daily Diaries, Blonde and Cupcakes, Beauty Crush, The Londoner, Jennny from itsmeeejennyy and lots more. I'll have a page up of my favourite blogs soon! Near future?... to get into uni. further down the line... to be a successful entrepreneur or CEO or something like that..
What is your favourite food - sweet and savoury? Something that really annoys you? Slow walkers in front of me. argh. Song that relates to your life? Piercings you have and/or want? Clarins Daily Energizer Cream... so hydrating and a subtle sweet scent. I've always been into the idea of having a website where I share my ideas. When I was 9, I had a website with my then-best friend on that hosting site, Piczo.com, which for some reason, shut down. It was good fun though. 1) Who is your inspiration in life? 2) How has blogging changed you? 3) How long do you wish to continue blogging for? 4) If you were to give advice you your 2013 self, what would it be? 7) Morning person or nocturnal? 9) Party or night in with popcorn and a movie? Excuse the lengthy post, but I hope you enjoyed getting to know me a bit better! Check out everybody's blog that I've linked and talk to you soon!